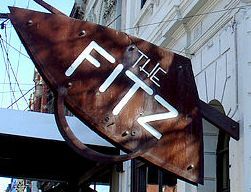 Last night I hit the Fitz Café for dinner with a girlfriend. I’ve always thought of it as a summertime spot, it gets fantastic sunshine on the outdoor eating area all morning during the summer… which means I can bask in the sun no matter how late I drag myself out of bed to grab a big brekkie. But surprisingly, it’s great in the winter too, with a very cozy fireplace and soul-warming food. I had the prawn and chorizo risotto, which is topped with nice big chunks of feta and spinach. My friend and I hadn’t seen each other in months, so we had a lot of catching up to do, and The Fitz is the kind of place you can sit down in at 7pm and stay until 10.30pm without being asked if you’d like your bill (translation = move on please!). Perfect for a good gossip sesh. A friend of mine claims to be a real coffee connoisseur. He also claims that instant coffee has never passed his lips. This is not uncommon in Melbourne, it’s a city full of coffee snobs! Me, I don’t discriminate. I start every day with a Moccona instant in a huge mug. My boyfriend claims this need for a grande-size caffeine fix is the American in me. Then I usually squeeze in a skinny cappuccino sometime during the afternoon. I just love coffee in general. But back to my friend. 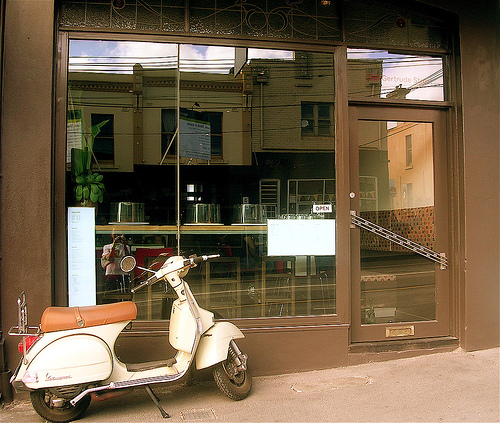 Last weekend he introduced me to Seven Seeds coffee at Dead Man Espresso in South Melbourne. And I have to say, it was the second best coffee I’ve had in Melbourne. I don’t feel completely qualified to review the food, but I watched my friends enjoy smoked salmon on rye with a avocado and grapefruit salsa. There wasn’t much talking once the food arrived, more “mmmm-ing” than anything really. But Dead Man Espresso, please turn up the heating! The wind comes straight through under the sliding glass door and it took me a while to bring my feet back to life. 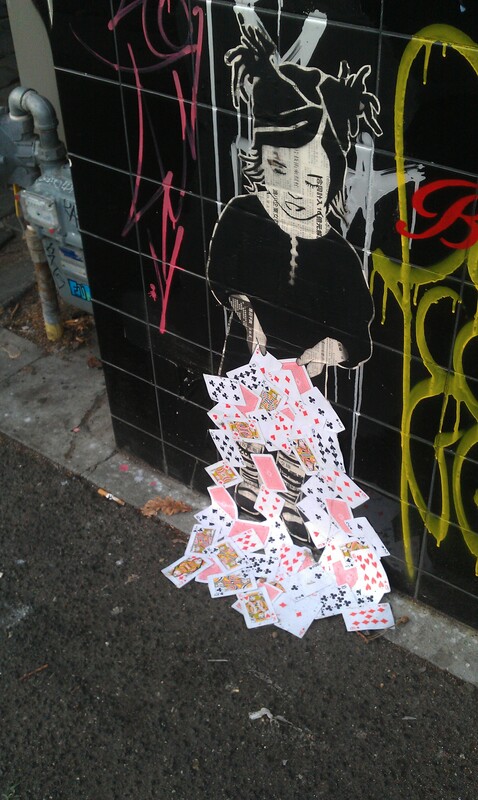 What I love most about Melbourne is finding little gems off the beaten track. The Standard Hotel is one of these lit tle gems. I knew I’d found a goodie when I first walked in the door. The country decor is full of cozy nooks for hiding from cold winters. But keep walking. The beer garden is where The Standard really shines. Then keep walking. And walking. The leafy garden stretches for ages and somehow, like inside the pub, its full of nooks too. On a sunny day it’s the perfect place to catch up with friends at a long picnic table. The food is quality, my only complaint being that it don’t offer chips or wedges, which are an absolute must for any worthwhile pub! I have no idea what itis called, and I’m not really even sure that it has a name, but the shopping bags had ‘dirt cheap books’ printed on them. It’s in a warehouse space at 222 Johnson St in Collingwood, close to Hoddle St.
What is it? It’s a massive book sale, and nearly every book is $4.95, or 3 for $10. I checked it out this weekend, and as soon as I stepped in I knew I had found gold. The lower level has hardback books priced around $10, with some great titles, but make sure to step upstairs because that’s where the real deals are. There’s a great selection, a lot of well known authors and lots of different genres: crime, romance, chick lit, self help, travel…. it was all there. And at 3 books for $10 my head was spinning. My relationship with Wagamamas is long and full of love. We were introduced 2 years ago in London, next to London Tower, by my best friend who has a passion for the chocolate wasabi cake. At that time of my life, however, all I could afford was a piece of the cake split between two. The pound is not very friendly to the US dollar, and I was a starving student. We were reunited in Melbourne, when in the first week of living here I was staying in a hotel on Exhibition and needed a safe bet on a good place to take my visiting parents. 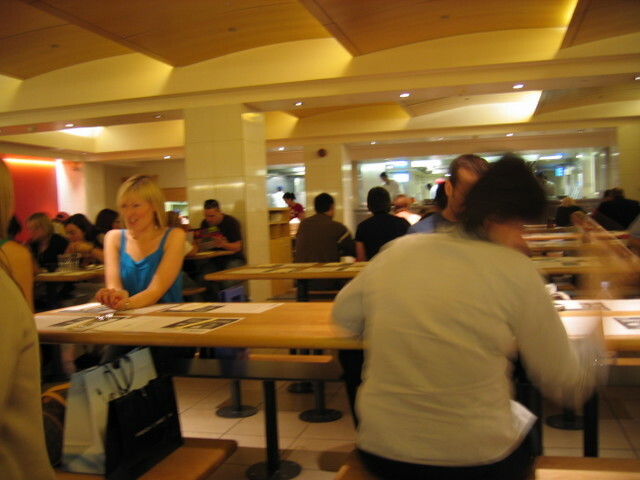 That night, Wagamamas just happened, ironically, to be bombarded by an American tourist group of 20 all wanting to split the bill and pay with 20 different cards. Shameful. The story of that night ends well, however, and after I stood in the queue for 30 minutes waiting to pay, the waiter felt so bad for me he gave me 7 free meal vouchers. Seven visits later and I was still eating for free when I happened to be using my last voucher. The waiter on the cash register was the same one who gave me the vouchers, we reminisced on the crazy night, slagged off the Americans, and then he gave me 4 more free meal vouchers for the heck of it. I used the last one a week ago, and I’m pretty certain I’ll still be going back even when I have to pay full price. I’m addicted to the Katsu Curry and luckily a little more well-off now than I was in London. The Birdman Eating on Gertrude Street is well known for breakfasts, which I’m assuming has something to do with the scrumptious looking baked eggs menu. Unfortunately I can’t speak to breakfast, I have yet to experience Birdman in the mornings (except for coffee, which is, of course, great). I had dinner at Birdman over the weekend, and it was even better than expected. The wine list is extensive and the wait staff are very knowledgeable and can provide great recommendations. The food was superb. I am always a bit wary of tapas menus, especially when I’m hungry for a solid meal, but the tapas was some of the best I’ve had in Melbourne. I had goat cheese stuffed mushrooms, calamari over rocket and zucchini fritters, and shared between two it was plenty of food. Its always great to walk into a restaurant with high expectations, and then have those expectations exceeded. I can’t wait to get back there for some of those baked eggs!